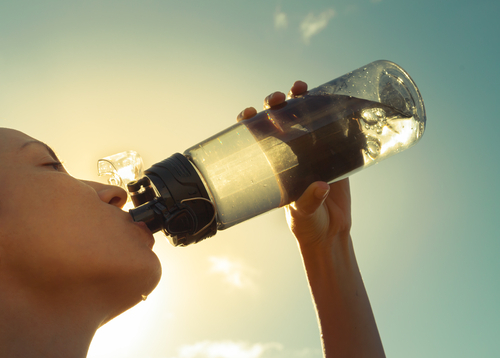 Spring Water vs. Purified Water: What's the Healthier Option? Spring water or purified water? That is the question. People across the world have begun to place a higher importance on quality, safe and clean water. Bottled water has a booming industry with multiple recognizable brands and shiny, succinct commercials (looking at you, Fiji Water). Purified water and spring water are both insanely popular and consumed by millions of people. The question remains, though: Which is healthier for you? To try and find an answer, it's important to understand the difference between the two. ·Purified Water­—Purified water is essentially water that has been scrubbed clean of bacteria and contaminants. 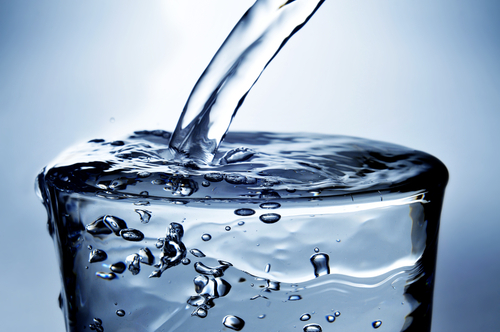 According to the EPA, the impurities in purified water can be no more than 10 parts per million. In essence, purified water is similar to tap water in the way it is obtained. The main difference is that the purification standards are much stricter than you will see with tap water. That level of strictness plays a large role in why so many people prefer purified water. Many homes and businesses across the world have even taken to installing standard or commercial water filters so that they can purify water in-house versus paying for bottled water. The cost factor is important to consider, but more so if you are concerned about the health of your bank account as well as your physical health. 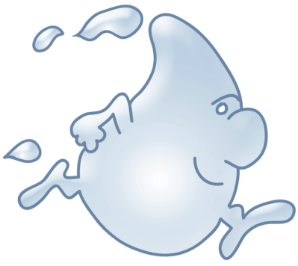 ·Spring Water—Spring water is a bit of a different scenario than purified water. Known also as artesian water, ground water or well water, spring water is water that is sourced from an underground aquifer. Spring water undergoes more of a natural filtration process as it flows to the surface, where it is collected for consumption and distribution. The springs that produce this kind of water typically form around any rock, the most common rock type being limestone. Again, this water flows to the surface and goes through a more “natural” filtration process than the rigid purification that purified water goes through. This filtration process, and the manner in which spring water is produced, tends to add a unique taste to the water, which many prefer over purified water due to the natural minerals within. Some, however, are leery about contaminants or microbes that might be carried from the host spring where the water originated. Fortunately, spring water has to meet the National Primary Drinking Water Regulations (per the EPA) just the same as purified water does. This means they are both safe to drink. On Equal Footing–Which is the Healthier Option? ·It's all down to preference—With purified water and spring water being on equal footing when it comes to safety, cleanliness and purity, which one is the healthier option remains open for debate. In truth, it comes down to preference. ·Spring water seems to win out on the taste test, and many enjoy toting their artesian water in a similar fashion to a Starbucks cup. You'll find plenty of minerals that might add some minor health benefits. Another nice thing about spring water is that its pH level tends to be neutral or slightly alkaline in nature. Drinking alkaline water has been noted for helping reduce acidity in the body. You do have to be cautious about bottled spring water, unfortunately. The bottling process can take away a lot of the health benefits of spring water such as, you know, it actually being spring water. A lot of bottled water is actually just tap water with a fancy name on it, which is a major downside to buying spring water. ·With purified water, you know exactly where your water is coming from, which many find favorable. While it does not have the mineral rich taste that spring water has, purified water tends to be more stringent on what it considers clean, as spring water can be sold both filtered or unfiltered. Purified water is also generally cheaper and easier to access, as a simple water filter in your refrigerator, sink, etc. can allow you unlimited purified water–at least until the filter needs to be changed. When you compare the cost of buying bottled spring water (that may not even be spring water) versus purified water, an easy water filter wins outright. Again, it all comes down to preference. Purified water is easier to access and you can actually verify that it is purified water. 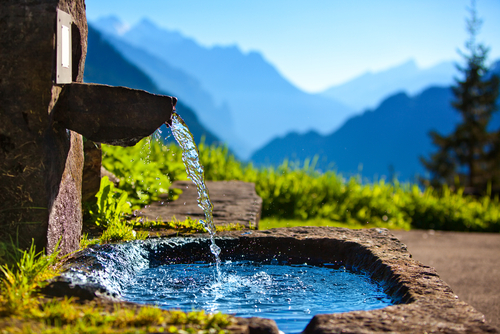 Spring water has a more pleasant taste and comes from coveted natural resources. Ultimately, in terms of which is healthier, both are on equal footing. You might get a few more minerals with spring water but, again, you can never be totally sure that your fancy bottle of spring water isn't just tap water sold at a 3000 percent mark-up. No matter which you prefer or wind up choosing, drinking more water will greatly benefit you in the long run.